CP+B goes with an elaborate anti-pitch in its work for Fruit of the Loom's new Micro-Mesh Breathable Boxer Briefs, which are intended to keep guys a little cooler below the waist. The campaign features the ridiculous and desperate co-owners of Josh and Donny's Supercool Superstore for Men, which was apparently the go-to place for men's pelvic cooling products before Fruit of the Loom came along. 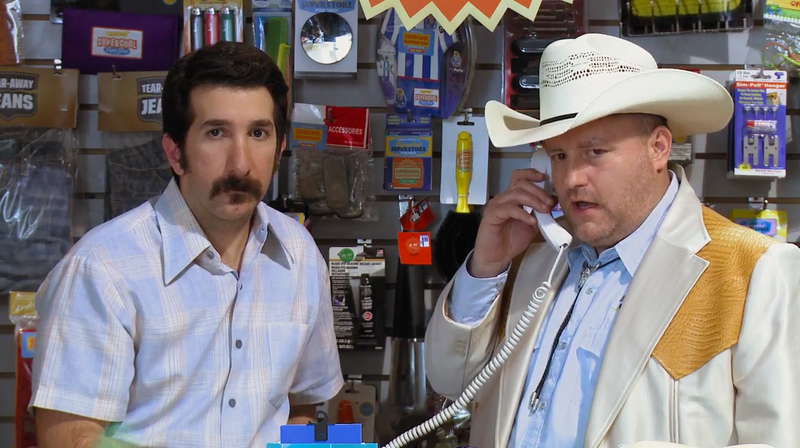 In a series of fake ads, and on a garishly moronic website, Josh and Donny reveal that they're going out of business—because their stupid products are no longer selling. The spots are running as online pre-roll and social video, while the website has a working (800) number and online chat feature. "All of those businesses selling ineffective and ill-conceived cooling products are going to take a hit. Especially when the ineffective and ill-conceived cooling products are especially ineffective and ill-conceived," CP+B's creatives tell AdFreak. "However, one of those businesses, 'Josh and Donny's Supercool Superstore for Men,' is not going down without a fight, as evidenced by their recent Supercool Superstore television commercials. With a total budget of $83.50, their nephew even had enough to build a website that includes 'live chat' and a toll free number if you have complaints." There's a strong Tim and Eric vibe here, and for good reason. The director, Jonathan Krisel of Caviar, was discovered by Tim Heidecker and Eric Wareheim after he created the Brooklyn cable access series HyperDimensional Fortress. Krisel went on to work on the AdultSwim series Tim and Eric Awesome Show, Great Job! as director and co-executive producer. Anti-pitches from fake incompetent rivals are becoming a thing lately, as we saw in May with Ming's fishing-themed "Frank and Marty" campaign for Smith sunglasses. Campaign: "Josh and Donny's Supercool Superstore for Men"